The leader in cargo security solutions for over 40 years. Transport Security, Inc. - ENFORCER® is a leading cargo security company that has been providing high security solutions for the trucking, supply chain, portable storage and retail sectors for over 40 years. 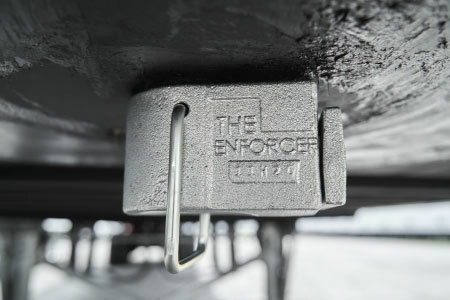 The ENFORCER line of high security trailer and container locks, truck locks, C-TPAT security seals, and covert GPS tracking technologies set the standard for the industry. ​We use the finest materials including case hardened boron-steel shackles, chrome plated spring steel and high strength poly carbonate. 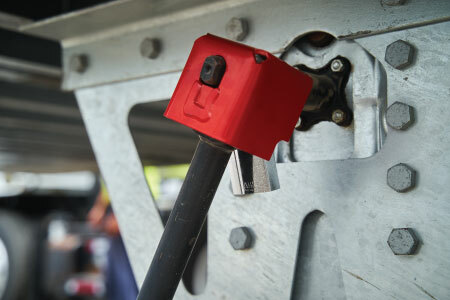 ​Our product line includes security solutions for the entire trailer and container, including roll-up doors, king pins, air locks and seals. ​Whether you are securing two trucks or an entire fleet, we offer master systems keyed in a variety of options with key control protocols. ​For over 40 years, Transport Security has been the chosen security partner for thousands of companies and fleets throughout the world. Industry Leader. Your Security Partner. Security within the transportation and shipping industry has changed substantially in recent years due to the increased risks in theft. In the United States alone, cargo theft accounts for approximately $15 billion in annual losses. Transport Security partners with police, task forces and security councils to stay up to date on industry news. View our cargo security resources below.